I have always wondered why some people deny the Holocaust. The record is so self-evident that no one should have any series doubts. But Holocaust deniers are real. We were all reminded of this fact by the recent controversy that touched the Vatican when renegade British Bishop Richard Williamson was restored to the Roman Church by Pope Benedict XVI. Williamson, as you probably now know, dismissed the “so-called Holocaust” as “lies, lies, lies.” Iran’s dangerous president, Mahmoud Ahmadinejab, has called the Holocaust a “myth” while Hezbollah’s leader Hassan Nasrallah says, “Jews invented the legend of the Holocaust.” Hutton Gibson, the father of actor Mel Gibson, is an ultra-conservative critic of the modern Catholic Church and argues that after World War II there were more Jews in Europe than before the War. And an engineering professor at prestigious Northwestern University, Arthur Butz, wrote a book titled: The Hoax of the Twentieth Century: The Case Against the Presumed Extermination of European Jews. What is it with people like these? These revisionist historical accounts began shortly after the end of World War II. The source of much of this came from France, where writers blamed the communists for much of the suffering. An American leftist historian by the name of Harry Elmer Barnes argued that the Holocaust was used as propaganda to get the United States to enter World War II. Other wealthy anti-Semites followed this thinking. One pseudo-scholarly think tank, founded as late as 1978, offered $50,000 to anyone who could prove that Jews has been gassed at Auschwitz. A Holocaust survivor took the challenge and proved his case in a court of law forcing the man who offered the money to pay up. (He was also forced to pay another $40,000 for the personal suffering he caused!) The judge in this case ruled, “It is not reasonably subject to dispute. It is simply a fact” But this didn’t stop the deniers, who seem to have made a recovery in recent years. How does this nonsense work? By planting small seeds of doubt. Writers Michael Shermer and Alex Grobman, in the book Denying History (2000), say, “There is an assumption by deniers that if they can just find one tiny crack in the Holocaust structure the entire edifice will come tumbling down.” This is how Fred Leuchter argues when he says that Zyklon-B is insufficiently powerful to have been effective in gassing camp victims. And author David Irving has sought to absolve Adolph Hitler by laying the blame entirely on Joseph Goebbels. Thankfully this denial is not widespread in the United States, according to those who study this phenomenon. Less than 2% of Americans seriously doubt the Holocaust happened. (That is still amazing when you consider it at all but then there is a lot of anti-Semitism in various pockets of our culture, both among neo-Nazis and radical Muslims.) In the Middle East Holocaust denial is high. A 2007 survey made by the University of Haifa found that 28% of Israeli Arabs denied the Holocaust. (I am surprised the number is not higher actually.) But thankfully extremely courageous leaders like Ahmed Tibi, an Israeli Arab and the deputy speaker of the Knesset, says he considers Holocaust denial “immoral.” He suggests, however, that the denial remains believable because of the political way some use it within Israel. Denying the Holocaust has been made a crime in Israel and twelve European countries. This approach is one Americans would never tolerate and thankfully should not. You do not fight errors by making errors. A law of this type only feeds conspiracy in my view. Criminalizing speech is not the way to freedom. It only lends a particular credence to the Holocaust deniers, a credence none of us should desire to give them even in the smallest possible way. Making martyrs of such foolish people will promote their hatred in certain circles. The best way to remember the Holocaust is to visit places like the U. S. Holocaust Museum, to read good history and to meet and, or, listen to the stories of survivors. A few are still alive and good movies abound. In fact, good movies are a veritable Hollywood industry on this subject. Several more such movies in 2008 were superb challenges to the Holocaust deniers (e.g., Valkyrie, The Boy in the Striped Pajamas, The Reader, etc.). My good friend, Jim Tonkowich, the president of the Institute on Religion and Democracy (IRD), wrote a news release yesterday on the birth of the State of Israel, which occurred on May 14, 1948. Jim's statement about Israel's past and future reflects my own view of things there quite well. I believe this type of balanced perspective is called for when various confusing voices are raised regarding this important modern democracy in the Middle East. Today the nation of Israel is celebrating the 60th anniversary of its independence, according to the Hebrew calendar. On May 14, 1948, as Great Britain relinquished its mandate over Palestine, Jewish leaders there proclaimed the modern state of Israel. U.S. President Harry Truman, overruling many of his top advisers, was the first to recognize the new nation. Israel’s Arab neighbors immediately launched a war to destroy the nascent Jewish state. Israel survived that war and has survived three more wars and thousands of terrorist attacks over the intervening decades. But hundreds of thousands of Arabs were displaced in the 1948 war. The plight of the Palestinians has become a permanent grievance. And many actors in the region—Syria, Iran, and the Hamas movement that controls Gaza—are still committed to the destruction of Israel. Israelis have good reason to celebrate today, and U.S. Christians can join them. Israel is the longest-lived democracy in the Middle East. It enjoys a vibrant, multi-party system, an independent judiciary, and freedoms of speech and press. Jews, Muslims, and Christians practice their faiths with few restrictions. After the Holocaust, Israel provided a refuge for Jews from around the world. Yet Israel’s Arab minority is freer than the Arab majorities in most surrounding countries. U.S. Christians differ in their understanding of Israel’s place within God’s plans for human history. But the vast majority does glimpse some kind of divine Providence in Israel’s existence and preservation. We are grateful for President Truman’s courageous step in 1948 and proud of our nation’s role as one of Israel’s few reliable friends. Yet our joy is tempered by sorrow. We are mindful of the unresolved conflicts and unrelieved sufferings that date back to 1948. We pray that Israelis, Palestinians, and all their neighbors may finally know peace, security, self-determination, and justice. And we hope that our nation may be a peacemaker. It is now more than 60 years after the Second World War in Europe ended. Regardless of the revisionist historians and their utter nonsense about this great war, six million Jews, 20 million Russians, 10 million Christians and 1,900 Catholic priests who were murdered, massacred, raped, burned, starved and humiliated while many of the German and Russia (and even American) peoples and political leaders, with some courageous exceptions, looked the other way! In an attempt to remember these important and defining moments a friend sent me a poignant cartoon that is worth seeing and reading. Iran, among others, continues to claim that the Holocaust is "a myth." This makes it imperative that people who love freedom and respect real history make absolutely sure that the world never forgets, because there are others who would like to do this again. If you doubt this statement you simply do not understand the modern world and the potential for evil and racism in human nature. The Islamic Jihadists are bent on the same thing that Hitler and Stalin were, whether people like to hear this or not. (Many do not like to hear this in our politically correct modern context.) Their stated goal is the conquest of the world and the destruction of anyone who doesn't believe the way they do. Many moderate Muslims do not agree but there are way too many Muslims who will say or do nothing about them, much as people did in Europe and America before Hitler came to flex his muscle on the world stage. By then it was too late and he had already slaughtered many, a the largest number of whom where Jews. We must do everything within our power to make sure this does not happen again. The story is fairly well known. President Gamal Abdel Nasser of Egypt decided, with the approval of the Soviet Union, to move against Israel with aggressive military action in early 1967. Virtually the entire Arab world openly supported him and even Jordan's King Hussein, who had been more neutral up to that point, turned his army over to the Egyptians. While Egypt amassed tanks in the Sinai Peninsula Israel launched a preemptive air strike against the Egyptian air force and its bases and completely took them out of the military equation in one day. Israeli Prime Minister Levi Eshkol, a man of peace, resisted the military buildup to war but when Defense Minister Moshe Dayan came to the fore to lead his nation in battle the whole plan changed. Not only were the Arabs defeated, they were humiliated. The political map was changed as Israel took new territory that had previously belonged to their neighbors. The most significant gain was the city of Old Jerusalem and the famous Temple Mount and the Wailing Wall. Now Iran threatens to lead a new effort to get rid of Israel and the Soviets are again a menacing presence in these tensions! One of President Bush's biggest international mistakes was his open 'trust' of President Putin who has shown anything but good faith in these matters. After all, there is huge money to be made for Russia in selling weapons and nuclear materials to Iran. Today the U. S. is again attempting to build a coalition in the Middle East to oppose Iran's aggressive desires to shape the region and change the world. This is the real political issue in Iraq, regardless of how and why we got there. Says Mead, "The end of America's ability to safeguard the Gulf and the trade routes around it would be enormously damaging---not just to us. Defense budgets would grow dramatically in every major power center, and Middle Eastern politics would be further destabilized, as every country sought political influence in Middle Eastern countries to ensure access to oil in the resulting free for all." Walter Russell Mead rightly concludes: "The next American president, regardless of party and regardless of his or her views about the wisdom of George W. Bush's invasion of Iraq, will necessarily make the security of the Persian Gulf states one of America's very highest international priorities." So long as we are a nation of free speech we will have people like Ron Paul saying what many apparently want to hear. And so long as we have free speech we will have much confusion. I welcome this since I believe in free speech. But I also believe that this makes it imperative that we better teach people how to think about international political realities if they are to understand why we must protect shipping in the Middle East. Most of our political leaders, including President Bush, have not done an adequate job of explaining this reality to ordinary people and thus I hope we elect a president who can and does this much better in the coming years. Our future may well depend on it. Another world war may hinge on it. Forces of international fascism, mostly promoted by radical Islamic groups, would love to incite chaos around the world. If you doubt this then you are sleeping through a critical era in history. Since the year of my birth coincides with the birth of of the modern state of Israel I have had more than a passing interest in matters related to the Middle East for my entire lifetime. As a young boy I was taught that Israel came into being by an act of God, not an act of the United Nations. (I believe in providence but that is not my point here at all.) I also heard that the whole land belongs to the Jews and thus to no one else. (Only later did I discover that both of these premises were extremely debatable conclusions and that the border issue was beyond any reasonable conclusion that could be drawn from the pages of the Bible.) Once I gave up Christian Zionist interpretations of the Old Testament, in the 1960s, I began to study the question of Israel with renewed interest. I read histories, polemical volumes for and against Israel, and watched as each decade passed with no leader able to solve the tensions and crisis that rages over the existence and safety of Israel. I support the state of Israel strongly, but not because of biblical prophecy. Recently I decided to read Jimmy Carter's controversial book Palestine: Peace Not Apartheid (2006). Though there is much to criticize in Carter's policies from his presidency, and even more so since, I still believe he did accomplish a great deal in the Middle East when he got Egypt and Israel to agree to a peace process and then Begin and Sadat signed the peace accords. His accomplishments, like him or not, solved one major part of the puzzle, at least for three decades. Egypt, the greatest military force in the region, has stopped threatening Israel and the two nations have remained at peace. But even that peace is increasingly threatened now. This is partly why Carter seems to have written his book on Palestine. He, rightly so, does not want to see the gains of the 1970s lost now. Carter's book has been criticized severely. Even some employees of the famous Carter Center resigned over this book. Is it really as bad as critics say it is? My own conclusion is quite mixed. Carter's greatest mistake is all too common. He fails to take into proper account the idea of "proportionality." He treats terrorism and violence as if they are committed equally on both sides. And the very title of Carter's book is extremely inflammatory and misleading, seriously so. Israel does not practice a policy of apartheid. But make no mistake about this one simple fact---there are Zionists who do use terror and murder to pursue their goals in the West Bank and for their view of the future of Israel. I believe that this is an extremely tiny minority compared to the more wide-spread militancy that can be seen on the Palestinian side. But, and this too is quite important, the vast majority of Palestinians are also peace-loving people who want a home land without the threat of people taking it away again. (This has included a significant number of Palestinian Christians who are our brothers and sisters as well. I almost never evangelicals express concern for these beseiged Christians.) This is why a Palestinian state has been legally called for since the UN created the modern state of Israel. 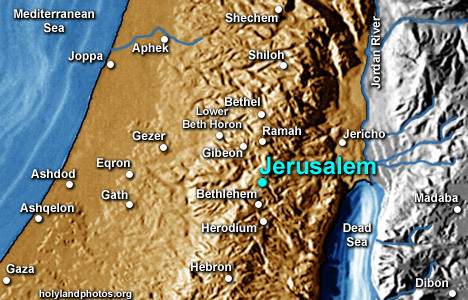 And from the beginning the West Bank was not to be settled as permanent Jewish land. Certain kinds of Zionism, as Carter eloquently shows, have pushed many people away from this mandate and thus created a context where peace is incrasingly hard to pursue in Israel. Just last week Secretary of State Condoleeza Rice lobbied Middle East leaders to attend a planned conference on the establishment of a Palenstinian state in the West Bank and Gaza. This call is consistent with the policy of every single American president since Harry Truman, who was himself instrumental in creating Israel. Rice noted that creating a seperate state was "absolutely essential to the future of not just the Palestinians and Israelis but also the Middle East and indeed American interests." I could not agree more after thinking about this for my whole lifetime. The primary enemies of this peaceful solution are numerous. They include militant Muslim groups that refuse to recognize the right of Israel to exist at all as well as Zionist groups within Israel and the United States that pump millions of dollars into Israel to settle the West Bank and ensure that no Palestinian state ever comes into existence. Christians ought to take note of the fact that there is one very odd player in this resistance to peace via the two-state solution: evangelical Christian groups who believe God gave Israel all this land and any two-state solution violates God's revealed will. Prominent ministers such as John Hagee lead countless people in this effort and influence far more American evangelicals than I think most of us realize. To question Hagee's approach is seen by many as opposing God's will. His profile grows by the day as he appears on talk shows and promotes more books on Israel and the future. At the present time the Palestinians want a detailed document outlining the borders of two states and determining the status of Jerusalem, Palestinian refugees and the Jewish settlements in the West Bank. Jewish leaders want a more open-ended dicussion when the parties discuss all of this in November in Annapolis, Maryland. They oppose a timetable for transferring sovereignty to Palestinians. A fair-minded person can see why both sides have reasons to doubt the other and why such a process will be difficult beyond words. But only those who are ready to continue the present madness, and thus seem to want a war of massive proportions moe than real peace, oppose these efforts to find peace through some kind of two-state solution. As President Carter does make clear this solution has been the one that leaders on both sides, at least in principle, have agreed upon for many years. The will to do it, and the context to get it done, has broken down again and again. Now is not the time to give up. Christians are called by their Lord to be peace makers. This is, in fact, a distinguishing mark of our calling. Thus Christians who encourage war are acting in ways that reveal a massive misunderstanding of the revealed will of God, if not outright disobedience. (I am no pacifist and believe nations have the right to defend and protect themselves.) I believe that it is time conservative Christians rethought their views of Armageddon and Israel in the light of present reality. As much as I disagree with some of Carter's conclusions and expressed views I respect him for his call for peace. If we are serious about the Middle East we must deal with Israeli and Palestinian issues sooner than later. Jimmy Carter understands this quite well. I thought I had seen everything until I saw a worship service in John Hagee's church in San Antonio, Texas, where the U.S. flag was not only displayed in the sanctuary (and there were scores of flags not just one) but it was placed right alongside the flag of the state of Israel (there were scores of these too). Such evangelical zeal and confusion fuels the flames of war and violence and I, for one, am growing weary of this kind of political involvement in the Middle East. One thing I do know is that this issue is too complex to be solved by easy solutions on any side. At least Jimmy Carter tried to bring about a just peace and succeeded in doing so with Egypt and Israel. I wonder if any leader in the future will show similar courage and thus make real efforts to try again with this vexing Palestinian question. Until we do I doubt that we will see anything close to peace in the Middle East. We are specifically urged to "pray for the peace of Jerusalem" in the Bible. I would love to see more Christians pray such a prayer and then act like they really believed that it can and should be pursued in the coming years. I wonder also how we will answer for our actions when we stand with Palestinian Christians in the day of judgment. Have we forgotten them in our zeal for Zionism? The Wall Street Journal had an impressive front page story in today’s edition titled: “Holy War: A Texas Preacher Leads Campaign to Let Israel Fight.” It tells the story of John Hagee, a popular dispensational preacher and best-selling author in San Antonio, Texas, who has become the America’s most outspoken and influential voice for Christian Zionism. Hagee is leading pro-Israel gatherings these days that are putting a great deal of pressure on the White House and other sympathetic congressional leaders to stay out of any peacemaking deals in the Middle East. Hagee believes that Israel has God’s complete support in this conflict and that these present events are likely to lead to Armageddon so we should steer clear of interfering with what God is about to do in Israel in these last days. I have no quarrel with those Christians who believe ethnic Israel, and even the modern state of Israel, has a major part to play in biblical prophecy, though I disagree with about 98% of what they think the Bibel actually says about these matters. I do have a huge problem with John Hagee and the host of evangelicals like him who seem intent on helping America advance war in the Middle East for the cause of Christ. Hagee’s political philosophy, if indeed he even has one, is plainly rooted in a strange blend of prophecy and popular religion, not in the divine law or in Christian ethics. Hagee’s recent best-seller, Jerusalem Countdown, sees a coming nuclear showdown with Iran. I sure hope that when the president takes the support of people like John Hagee, which he does in public, that he privately rejects their foolish counsel. I shudder to think what might happen to delicate and sensitive international foreign policy if we began to build it on this kind of theology. I support the existence and defense of the state of Israel but evangelicals like John Hagee actually make the task for providing a strong argument for this position more difficult. If you don’t believe me read the article for yourself. It is far more troubling than I imagined when I began to read the story this morning. No wonder the media thinks evangelicals are a dangerous group of people. The Christian community is being crushed in the mill of the bitter Israeli-Palestinian conflict. [And further, the security wall and expanding Jewish settlements in the West Bank] are irreversibly damaging the dwindling Christian community. This response is not a new one from Congressman Hyde. Two years ago he wrote Secretary of State Colin Powell to raise the same issue. He now claims that things are much worse. There is every reason to believe that this is the case. Cardinal Theodore McCarrick, the archbishop of Washington, D.C., recently made a trip to the West Bank and raised the very same concerns. What makes Hyde’s concerns so credible is that he has been a consistent supporter of Israel. And what makes his present actions so worthy of respect is that the man is retiring and doesn’t need to take this controversial stand at the end of his political life. It makes me wonder why more evangelical Christians, in congress or in church leadership positions, have not raised the very same issue. The problem, I fear, is that very conservative evangelical Christians generally support Israel, right or wrong. And the underlying reason seems to be their long commitment to the policies of Israel that they believe fit in with their odd, and often eccentric, interpretations of the Bible. For decades many in the Jewish state have not shown real concern about the removal of Christians from certain areas of their land. Israel is a self-proclaimed just and open democracy but many Christians in Israel would beg to differ. The facts would appear to be on their side. at least in this case. The House Report further contends that “fundamentalist” settlers in East Jerusalem “intend to establish their own brand of Jewish exclusivity” and that they have “Messianic aspirations on the Temple Mound.” There it is. But very conservative Christians will undoubtedly support the present political approach of Israel, which breeds instability and injustice. Why you ask? Precisely because they want to see the Temple built so that the End Times will come! Too many novels, and too many novel biblical interpretations, can and do create serious problems for real people. One wonders if the usually strong voices of conservative Christian spokespersons will have the insight and courage that the Catholic Henry Hyde shows in this case. Hyde deserves the support of everyone who prays for the real peace of Jerusalem, whether they are Catholic, Protestant or Orthodox Christians. The entire church community is impacted by the actions of the present Israeli government. One can hope that President Bush will listen to this appeal from Congressman Hyde and the House Committee.